Moon Water is simply pure water that has been left out under the Full Moon. Pour pure water into a container and leave it out under the Moonlight. Bring it inside the next morning, bottle and label for future use. 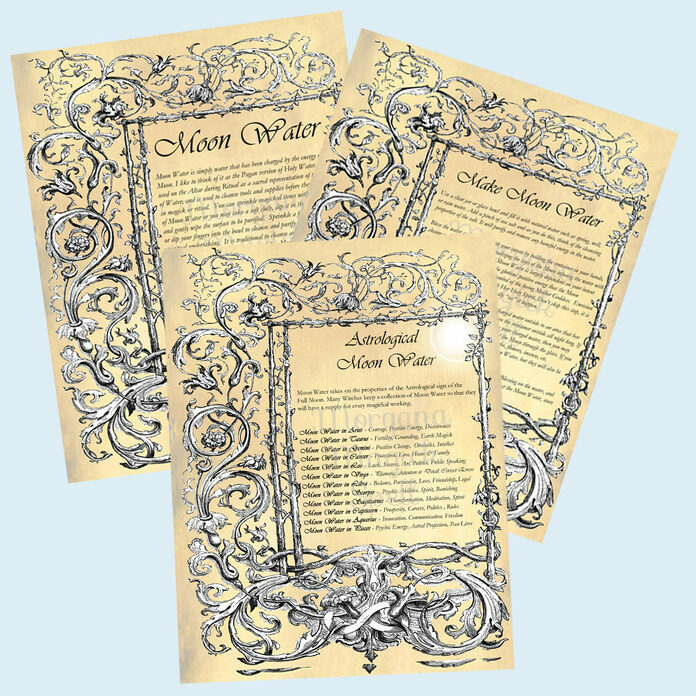 Moon Water takes on the properties of the Astrological sign the Full Moon is in. Full Moon Water in Aries - Will have courageous, positive energy and is great for charging magickal weapons. Full Moon Water in Taurus - Will have stable, earthy, fertile energy. Full Moon Water in Gemini - Will have energy that can bring about positive change, and facilitate overcoming obstacles. Full Moon Water in Cancer - Will have loving, maternal and protective energies. Full Moon Water in Leo - Will have lucky creative, successful energy, that is great for magick involving the arts, politics or public speaking. Full Moon Water in Virgo - Will have practical energy that will facilitate planning and attention to detail. Full Moon Water in Libra - Will have persuasive, balancing energies that can draw love and friendship and facilitate legal matters. Full Moon Water in Scorpio - Will have psychic, spiritual and banishing energy. 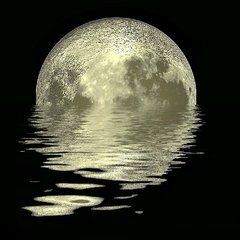 Full Moon Water in Sagittarius - Will have transforming, spiritual energy that lends itself to meditation. Full Moon Water in Capricorn - Will have energies relating to careers, politics and attaining material goods. Full Moon Water in Aquarius - Will have innovative and inventive energies. Full Moon Water in Pisces - Will have dreamy, psychic energy that can be useful for astral projection and exploring past lives.